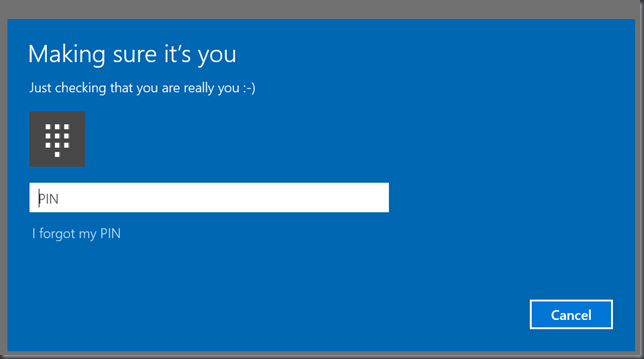 One thing that passed me by was the functionality offered by the UserConsentVerifier class on Windows 10. In this case the API asks me to say ‘Hello’ to my PC using the PIN number that I’ve set up which is, clearly, not a biometric authentication mechanism but if I get the PIN number correct then that will satisfy the API’s requirements. If I run this on my 950XL phone then it offers me both a biometric option (iris scanner) and a PIN option. 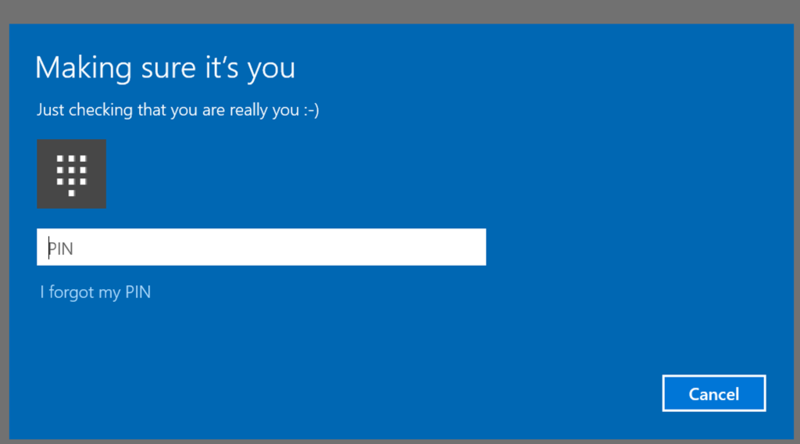 I haven’t tried but I assume that if I plugged a RealSense or Kinect camera into my Surface Pro 3 then facial identification would become an option there. So…a simple API to request that the logged in user can authenticate themselves to the system at a point in time where your app needs them and that’s not specifically tied to biometric mechanisms.